Among the ‘dog lichens’ this is one of the most distinctive. 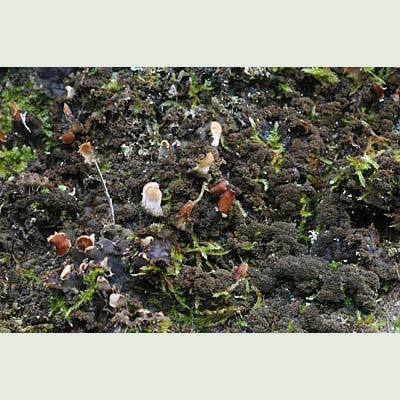 It is drawn to damper sites where it can grow on bark, soil and rock. Favoured are the sheltered sides of woods by lakes, bogs, afforested stream courses and river valleys. 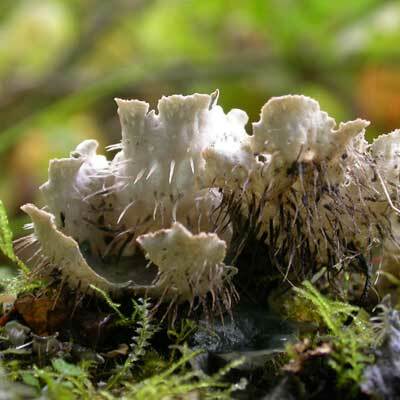 It has the size of P. membranacea, the same puffed-out swellings on the lobes and the same grey colour when dry. 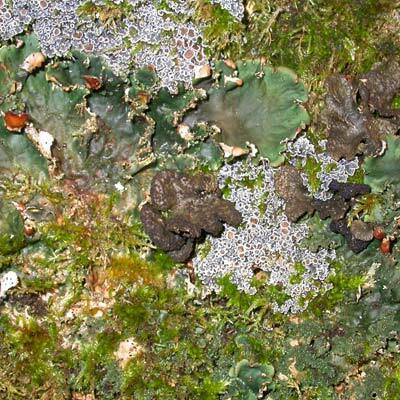 It is immediately recognised, however, by the extensive scattering of scaly isidia that run around the lobes creating a ragged edge and along any cracks in the thallus whenever an opportunity occurs. The lower surface supports flattened veins with dark rhizines that are never bottlebrush in appearance. 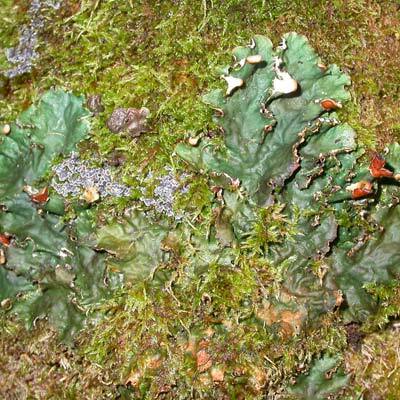 Known at once by the scaly isidia (outgrowths of the thallus) which decorate the edges of the lobes and ramify through cracks in the thallus. Simms, M. J., (2016). 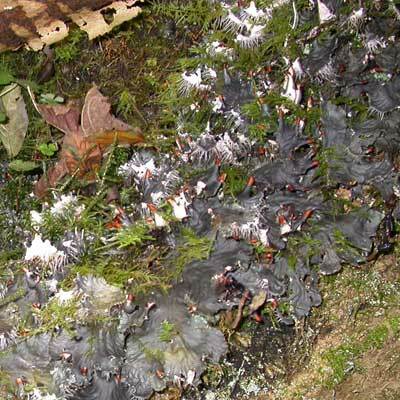 Peltigera praetextata (Flörke ex Sommerf.) Zopf. [In] LichenIreland.